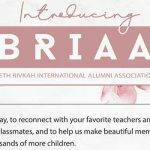 Despite it being just the beginning of Rosh Chodesh Adar א׳, with a extra month before we start thinking about Pesach, Beth Rivkah has made spring cleaning that much easier. 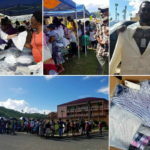 The next time you clean out your house from all of the clothing and shoes that just don’t fit anymore, or come across the clothes that have been handed down from your oldest child and the style just doesn’t go today, or have unwanted items like linens, towels, handbags, and accessories . Beth Rivkah has the solution for you, and you will be getting a mitzvah too! 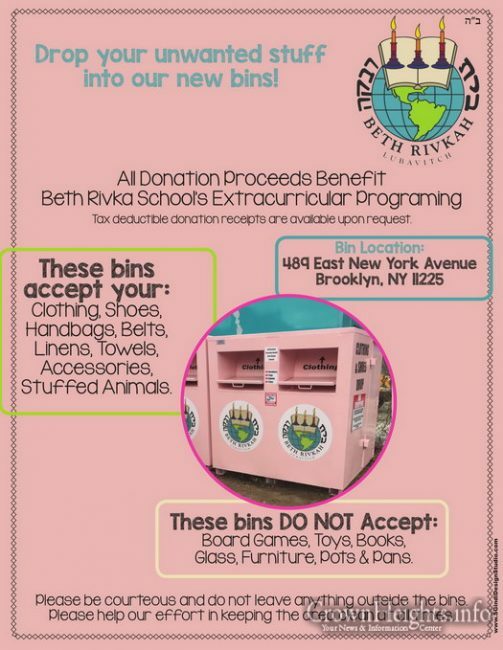 Beth Rivkah has teamed up with one of the leading used clothing distributors, that recycles household items to needy families around the world and breaks down the old clothing, that can’t be worn into fabric and sells it at a discounted rate. For every item of clothing that you donate, no matter how old, unwearable, or new the clothing is, Beth Rivkah will be getting paid for it and the proceeds will be used to enhance the many extracurricular programs that benefit our students. Tax deductible donation receipts are available upon request, please send email to info@bethrivkah.edu for more information. Your children, our students, by enhancing their learning through extracurricular activities. 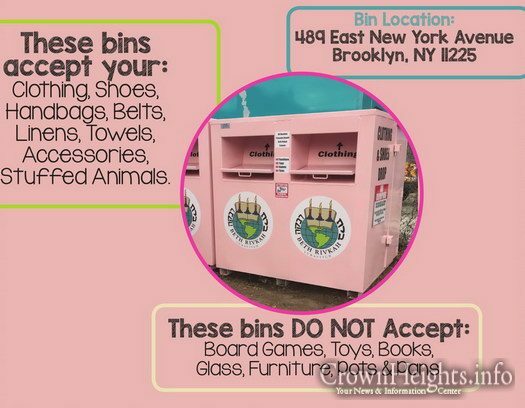 So the next time you do some cleaning around the house, whether its before Pesach, spring cleaning, or even sooner, please bring your bags of clothing and household items to our bins and make a difference in the lives of so many. Lets secure our future, by donating to Jewish education today!